Rugby Mining Limited is a Canadian public company listed on the TSX Venture Exchange (“TSX-V”) under the symbol RUG. Rugby is focused on its exciting portfolio of Projects in Colombia and Australia but particularly on The Cobrasco Copper Porphyry, Choco Copper Belt, Colombia. The map (below) identifies the significant and world class copper projects from Central America down to Chile. There is a clear gap in modern exploration and our industry has yet to scratch the surface on the incredible potential for copper in Colombia. Rugby's Cobrasco Copper Porphyry could be that project to highlight the significant future upside copper will have in Colombia. The Cobrasco Copper Project is located 100 kilometres southwest of Medellin in the Choco Province of western Colombia. This highly prospective copper project is situated in an emerging yet under-explored district that hosts exciting geological potential. Rugby owns 100% of the Cobrasco project, subject to a 1% NSR. The Cobrasco Copper Project hosts an undrilled, large scale porphyry copper-molybdenum-gold target which was recognised during a joint German-Colombian government sponsored exploration programme conducted in the mid-1980’s. No systematic exploration or drilling has been conducted since that time. The final permit required for Cobrasco drilling is outstanding and Rugby recently submitted an application necessary to obtain this permit. The Company is currently working closely with the Colombian Mining Association to foster strong relationships with stakeholders. The Colombian Mining Association is also working diligently with mineral exploration and mining companies to promote educational information about the benefits of developing a copper industry to the people and government of Colombia. Copper is believed to be a viable future source for jobs and significant government revenues, similar to neighboring countries like Chile and Peru. Mabuhay Gold Project, including the Mother Lode Gold target, is located in the province of Surigao Del Norte, Philipines. The Mother Lode (formerly the “Mindanao Mother Lode Gold Mine”) is a high-grade epithermal vein system. Production from 1937 to 1953* is reported to have been some 500,000 ounces of gold at a recovered grade of 14 g/t. As such, the deposit was considered one of the Philippines’ highest grade gold producers*. Otways, one of Rugby's exciting gold and copper projects is located in the Pilbara, Western Australia. 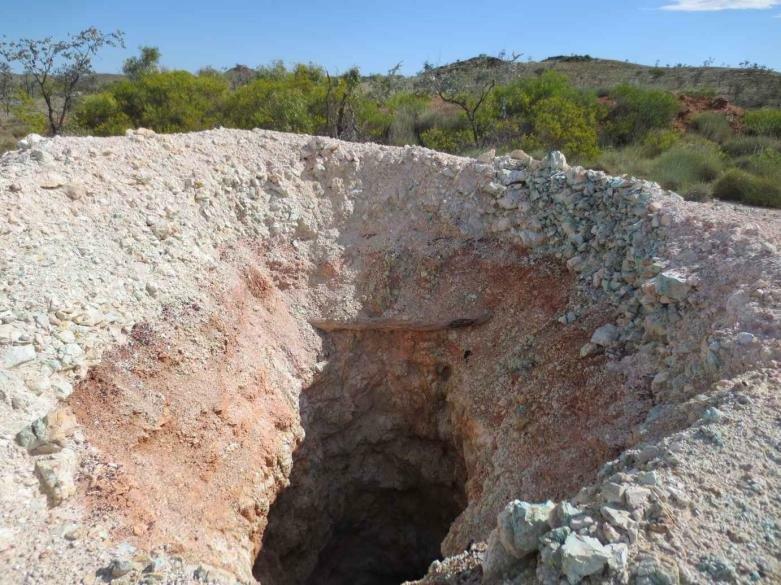 Otways is situated near a number of Novo Resources' properties between Marble Bar and Nulagine, an area actively prospected for gold nuggets. Rugby acquired an extensive portfolio of gold projects in Colombia (Rugby's Colombian Gold Projects) in 2016. The portfolio includes projects in Mid- Cauca and Bucaramanga - regions prospective for both epithermal gold and porphyry gold mineralisation. Certain information contained herein can be considered forward Looking. Please click here to review the Company's cautionary statement for investors. Paul Joyce, the Company’s President CEO and a “qualified person” within the definition of that term in NI 43-101, has supervised the preparation of the technical information contained on this webpage. **This historical estimate is presented for reference purposes only. A majority of the records on actual ore produced at Mother Lode were destroyed during WW2 and by later fires. Management has examined physical evidence at the site and available geological data to confirm that the estimation is suitable for presentation.